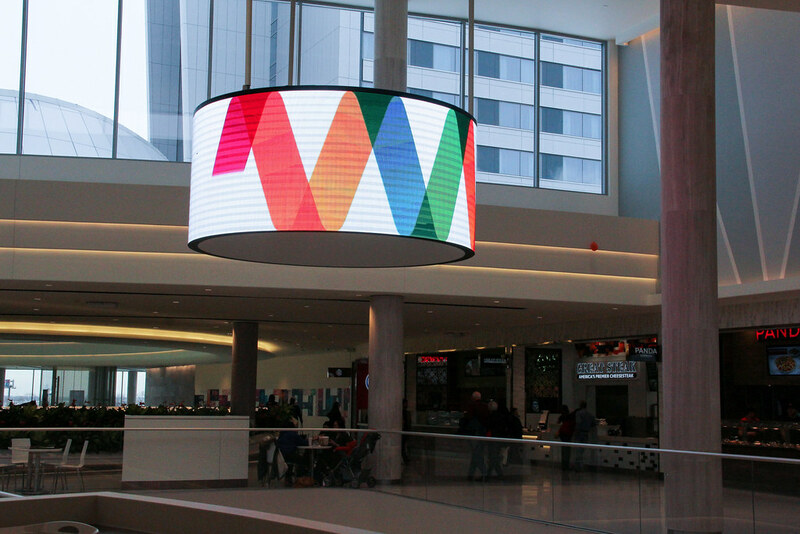 AS ONE OF THE TOP TOURIST DESTINATIONS IN THE COUNTRY, MALL OF AMERICA® SOUGHT A DIGITAL SIGNAGE SOLUTION THAT WOULD OFFER GUESTS USEFUL INFORMATION AND THEIR DIVERSE NETWORK OF BRAND PARTNERS A UNIQUE OPPORTUNITY TO STAND OUT. 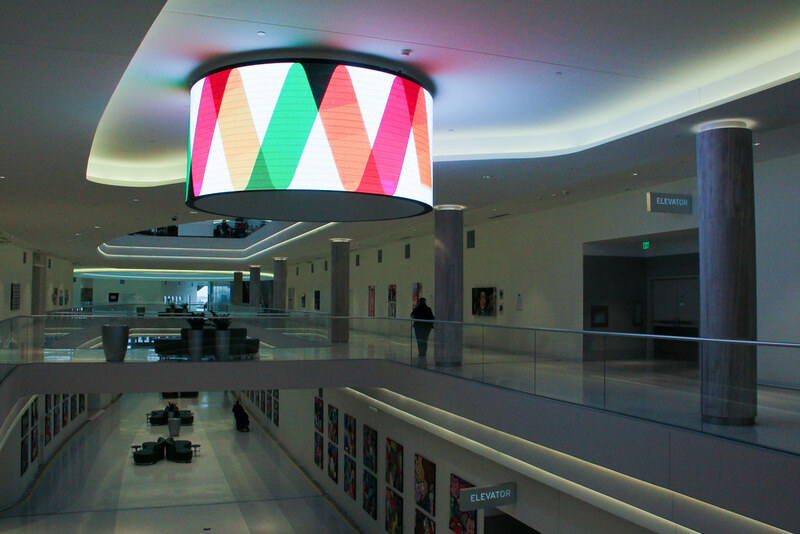 Tierney helped Mall of America accomplish this goal by providing two NanoLumens NanoWrap hanging “Halo” signage displays in two separate atrium areas within the most recent addition to the space. 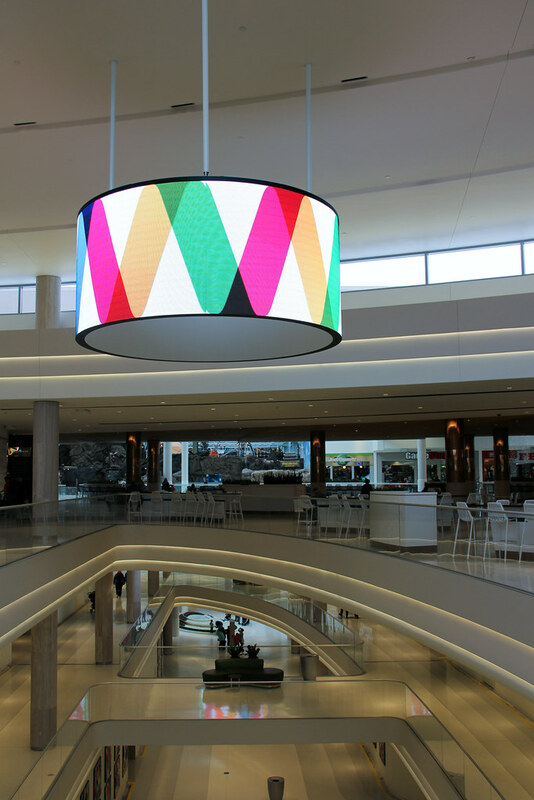 These displays are 4.5 feet tall and just over 10 feet in diameter, and each has a viewable circumference of just over 32 feet. Each display weighs a total of 964 lbs. and is suspended from the ceiling in its respective viewing area. Mall of America has been described as a city within a city. 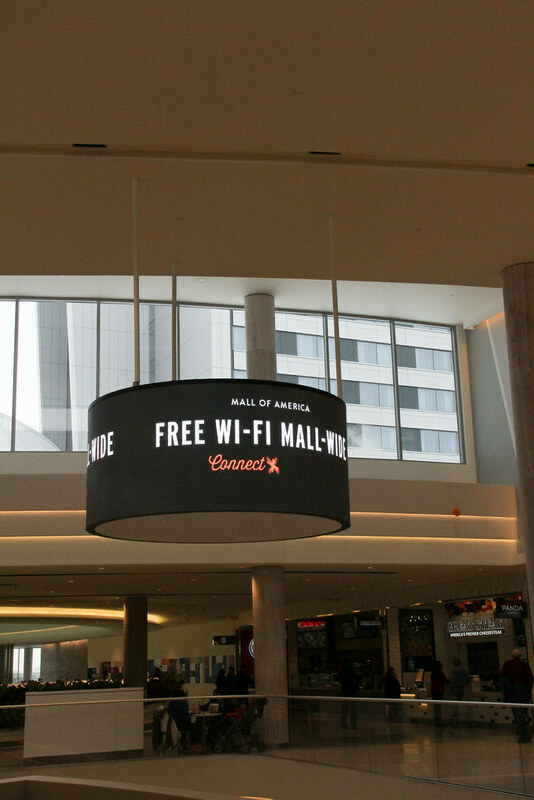 Along with an extensive range of retail, restaurants and entertainment, there are many unique features to Mall of America likely to be found in any community.